Douglas I. Fishman has been a practicing attorney for over fifteen years, working closely with families, individuals and small businesses. Doug’s trademark approach brings a winning combination of intelligence, empathy, creativity and effectiveness to his clients and their issues. For the past ten years Doug has concentrated on assisting families with divorce, child custody and support, adoption and all manner of family matters. In addition to expertly managing the technical and procedural aspects of divorce, Attorney Fishman understands the feelings and emotions that accompany the divorce process. Through extensive training and experience, Attorney Fishman has developed a full range of options in his family-centered practice, including mediation, collaboration, and litigation. When appropriate he coordinates closely with other professionals, including mental health providers, accountants, and financial planners. In addition to his work with families, Attorney Fishman’s career had included working with closely-held businesses and non-profit organizations, assisting them with valuations, employment matters, intellectual property, joint venture, agreements, purchase and sale issues, and construction matters. Attorney Fishman has experience both in private practice and as in-house counsel, giving him even broader understanding of the many needs of his clients. 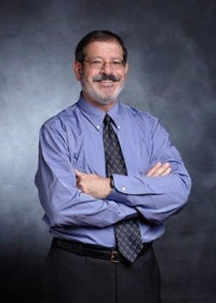 Attorney Fishman has served as the founding board member of the Connecticut branch of an international adoption agency and as a member of the Connecticut Tobacco and Health Trust Fund Settlement board. He volunteers as a Special Master in the Hartford Superior Court, and as a mediator in the Families in Transition program at the Children’s Law Center of Connecticut, helping high-conflict couples resolve parenting issues.